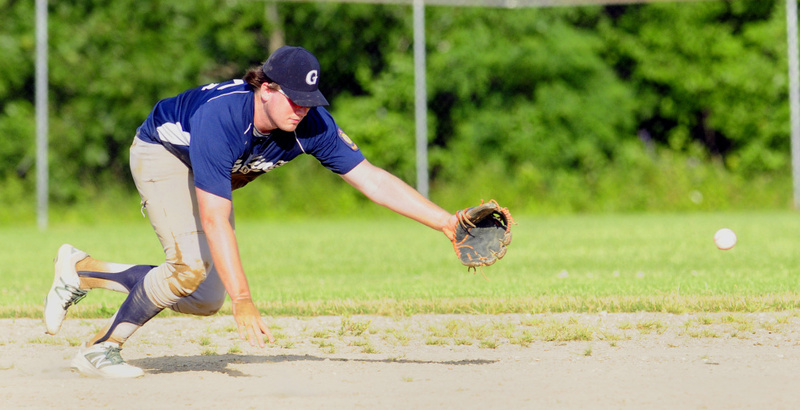 GARDINER — Cole Lockhart hasn’t had many opportunities to hit for the Augusta Elks Legion baseball team. He made up for it Tuesday. Lockhart was an offensive force for Augusta Elks, going 2 for 2 with five RBIs in a 17-3 victory over Gardiner at Hoch Field. The game ended after five innings. His final at-bat came in the second inning, plating two with a base hit. Lockhart’s five RBIs helped Augusta (12-4) cruise to an 8-0 lead after two innings. Augusta continued rolling in the third inning, putting up six more runs on six hits, thanks to RBI singles from Ryan Sinclair, Jason Brooks, Dan White and an RBI walk from Dylan Brown as the lead swelled to 14-0. 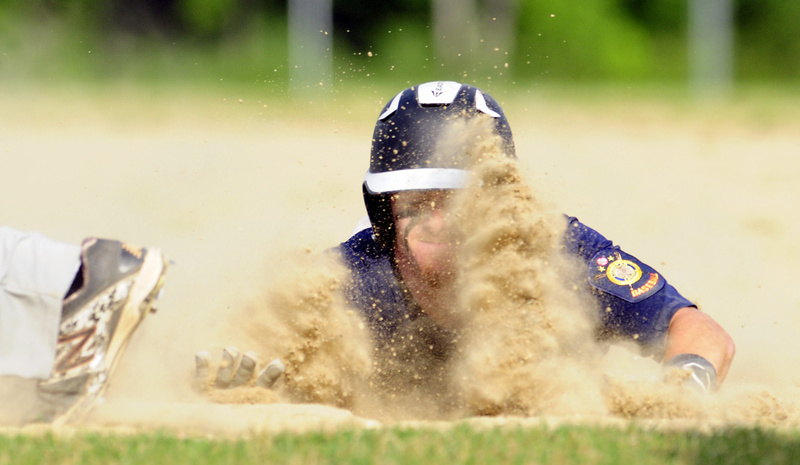 Gardiner (1-12) fought back in the bottom of the third, scoring two runs of its own. Jackson Ladd highlighted the inning with an RBI infield single. The major highlight for Gardiner — and possibly the game — came in the fourth, on an inside-the-park home run from Ryan Kappelmann. On a 1-1 count, Kappelmann smacked a Chris Florek pitch down the left field line. The ball landed just inside the chalk of the foul line, bouncing toward foul territory and giving Kappelmann enough time to race around the bases to score. Augusta answered with three runs in the fifth, led by an RBI single from Kolbe Merfeld. Merfeld had three hits and an RBI for Augusta, while Brooks and Nick Turcotte each added two hits. Kappelmann, Ladd, Cole Lawrence and Connor Nilsson each had a hit for Gardiner. The game was the second time the squads have faced each other this season. 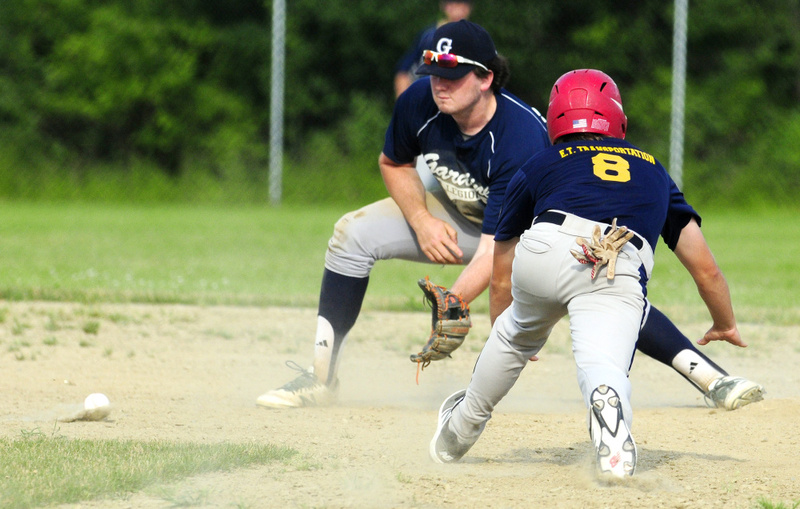 Augusta beat Gardiner 12-10 on June 29, with Augusta rallying from an 8-1 deficit.